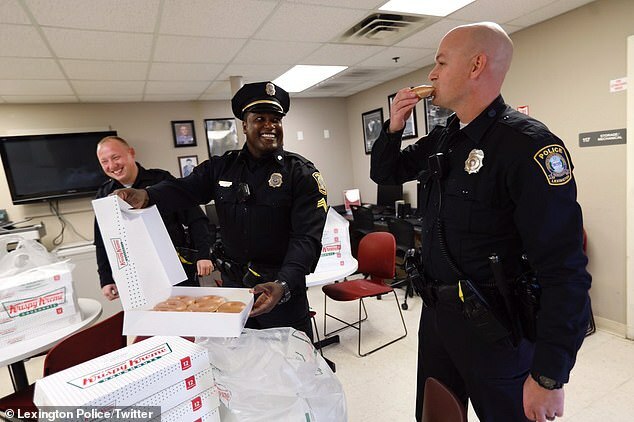 Krispy Kreme has stepped in to comfort Kentucky police officers mourning the loss of a doughnut truck that caught fire on New Year’s eve. 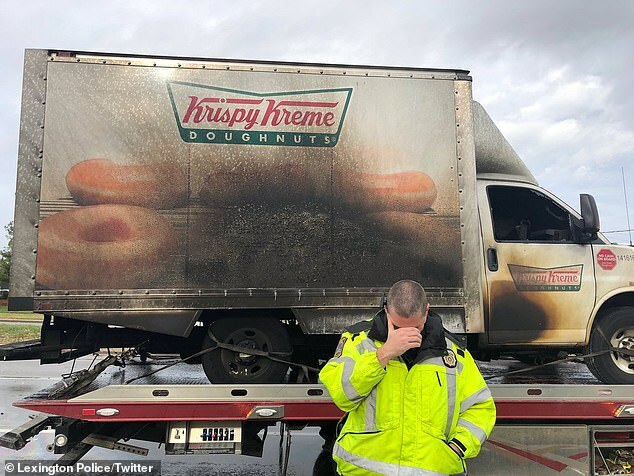 The Lexington Police Department shared shots mourning the loss of their beloved Krispy Kreme delivery truck which was completely charred after it caught fire, in hilarious posts that went viral. 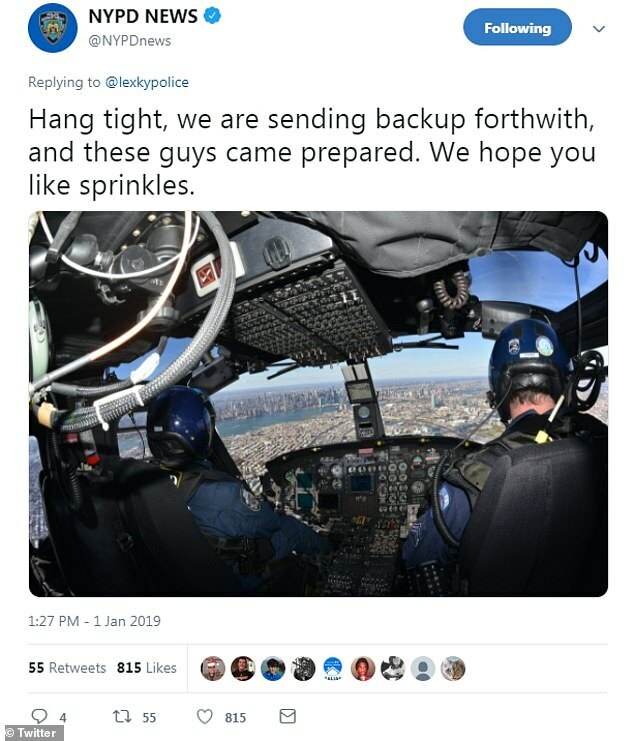 The baked goods company sent them a massive delivery of the gooey goods to help ease their pain Wednesday. 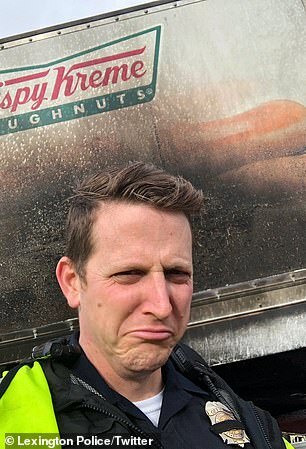 No one was injured when the truck caught fire in the city on Monday, but the truck’s doughnuts were ruined. 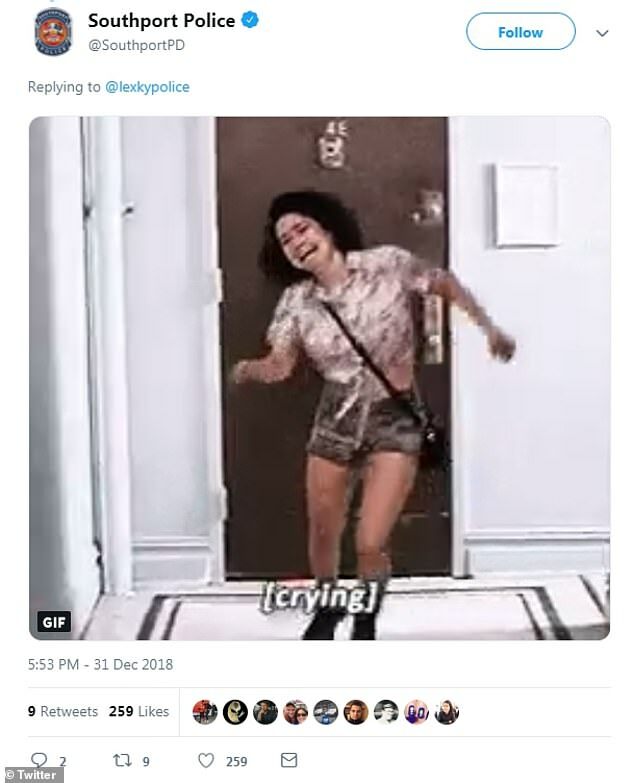 ‘No words,’ Lexington police said in the New Year’s eve tweet that has been liked more than 134,000 times. 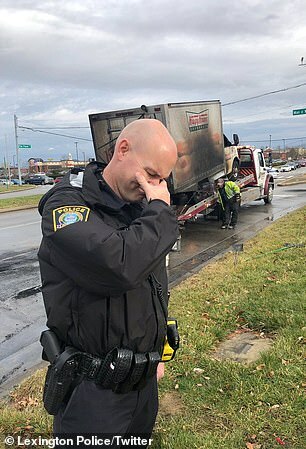 Their post included photos of the blackened side of the truck and officers jokingly mourning the truck’s loss. The truck’s fire was extinguished quickly and the cause remains undetermined but officers are investigating. 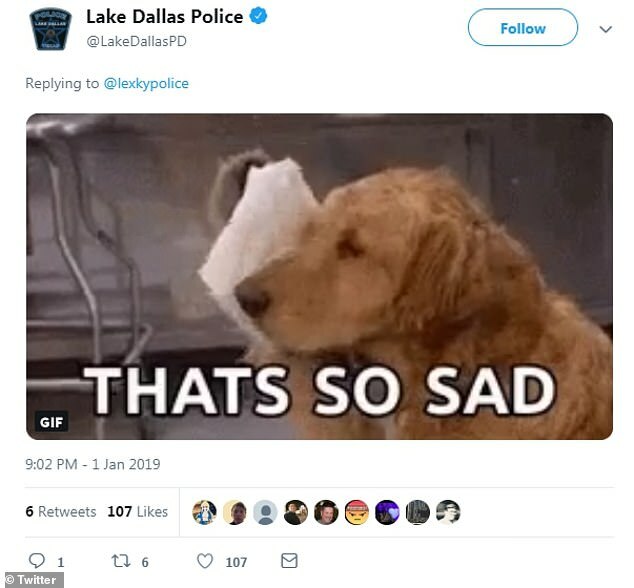 Police departments from across the country chimed in to offer their condolences. ‘We feel your loss. 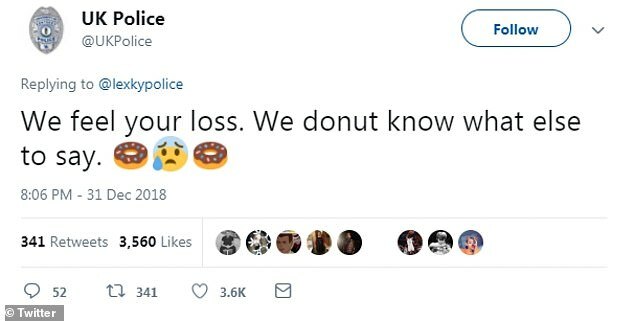 We donut know what else to say,’ said the UK police. 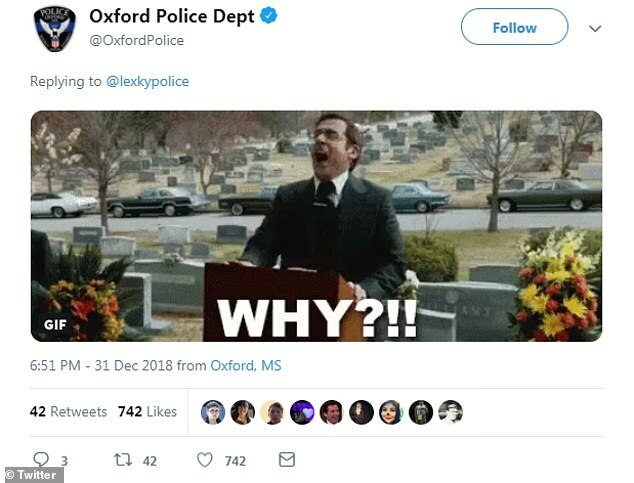 Mississippi’s Oxford Police Department also posted their own gif, along with the Southport officers. ‘Well played Lexington. 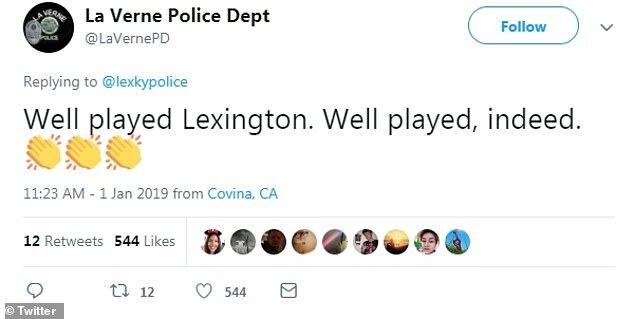 Well played, indeed,’ asserted the La Verne Police Department.